1 March, 2019 (Brussels). Europe’s leading business aviation association announced today new experts joining its advocacy, communication and event teams. 25 February, 2019 (Brussels). As an EU27 or EFTA operator you currently benefit from an exemption that allows you to undertake UK commercial operations without prior approval provided that the points served are all within the boundaries of the European Common Aviation Area (ECAA). 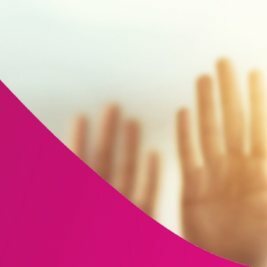 EBAA looks for a new Freelance Membership Administration support officer! Representing more than 700 aircraft operators, ground services, business airports and the wider ecosystem around business aviation, the European Business Aviation Association (EBAA) exists to enable responsible, sustainable growth for business aviation, enhancing connectivity and creating opportunities. 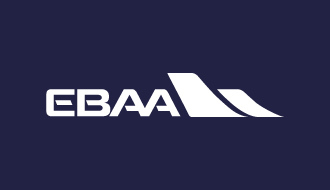 EBAA was founded in 1977 to defend the interests of business aviation and provides value to its members and society by promoting best practices in safety and environmental sustainability, efficient and proportionate rule-making and increased connectivity within Europe. The Hague, Netherlands. The Business Aviation industry in Europe is being represented by 10 dynamic, young professionals at the 2018 One Young World Summit, taking place 17-20 October in The Hague, Netherlands. The delegation is joining over 1,800 exceptional young leaders to debate, formulate and share innovative solutions for pressing issues such as sustainability, education and access to healthcare. The European Business Aviation Association is calling on the European Commission to provide the necessary additional regulatory and financial tools to help national and regional authorities implement Performance Based Navigation Rules (PBN-IR). EBAA’s Secretary General, Athar Husain Khan, issued the call while speaking at the Association’s event titled Business Aviation – Boosting Regional Opportunities and Connectivity, organised to coincide with the European Week of Regions and Cities. The EBAA welcomes the new Performance Based Navigation Implementing Rule (PBN-IR). It opens the door to the large deployment of EGNOS-based procedures at secondary and tertiary airports. EGNOS enables precision approaches with vertical and lateral guidance – so-called LPV. On the threshold of the holiday season, the European Business Aviation Association (EBAA) welcomes the joint statement by Violeta Bulc, EU Commissioner for Transport and Karima Delli, Chair of the European Parliament's Committee on Transport and Tourism.